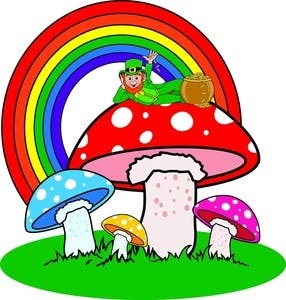 Researchers have found that the mystical experiences obtained by volunteers under the psychoactive substance found in hallucinogenic mushrooms has lead to a substantial improvement of their lives. Although a lot of similar studies have been made showing the beneficial long term effects which come with ingesting psilocybin mushrooms, be it spiritual or physical, this particular research was centered around answering the question of how much of the substance does one need to take such that he can experience the most benefits with the least risks. Psilocybin provokes a slew of euphoria waves, color baths and, often, religious experiences which stay in the heart and mind of the user for his whole life. It’s an extreme confidence booster and could prove to be the jump starter for people depressed or going passively through life. It’s not without risks, however. Taken in high doses or by individuals with known mental issues, the drug can induce severe paranoia or “bad trips”, as they’re familiarly called, which could lead to trauma or endangerment of one’s self. Evidently, he has a serious point, which is why it is probably illegal in the US and most of the other countries in the world, although it’s been used for centuries for ceremonial purposes. Researchers corresponded with volunteering patients for a year and found that 83 percent said these mystical experiences increased their well-being and life satisfaction moderately or very much. Around 90 percent reported changes in their behavior, including improved relationships with family and increased devotion to spiritual practice. Scientists aren’t still sure how the drug works in casting these changes among users, since it’s entirely different from the current psychiatric medications currently on prescription for addiction or depression, but it all seems to be psychological. Having a religious experience which sets soem meaning to one’s life is definitely a catalyst. “There’s something very important about the person recognizing fundamental meaning in their life,” Johnson said. When you have a terminal illness “That thread of meaning that has carried you through your life…that often evaporates,” said Dr. Charles Grob, of Harbor-UCLA Medical Center in Torrance, Calif, who has conducted research on psilocybin, but was not involved in the new stud. “Having a profound experience seems to be able to re-infuse people with that meaning,” he continues.